Beautiful white toy rabbit with green and pink top and green pants. 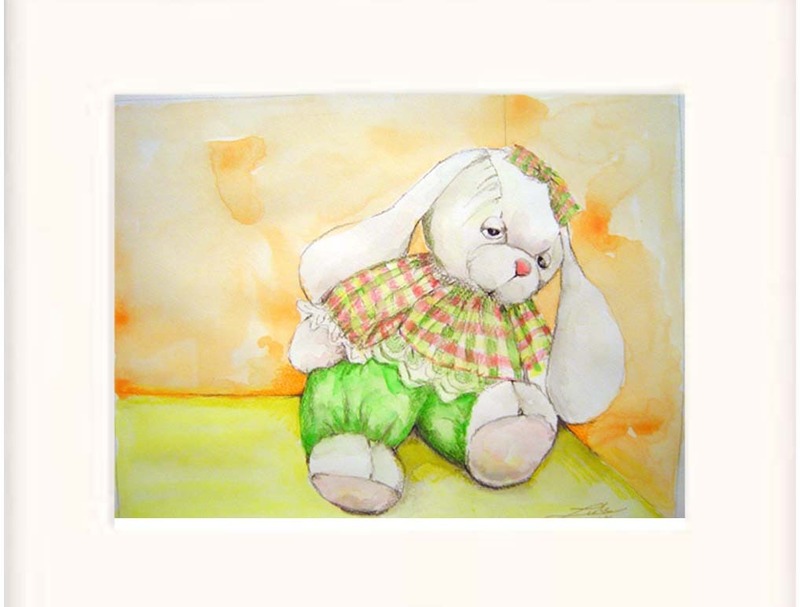 Original painting in watercolor and color pencil on watercolor paper portraying a forgotten toy in a corner of a room. Available as a print - 10" X 8" - matted in white. Original art ï¿ Janie Thompson-Lide. The artist retains copyright to all works. Copyright is not transferable with sale. Reproduction without written consent is strictly prohibited.